IBS Prize Winner Essex Homes | Lubrizol Advanced Materials, Inc.
What would you do with $15,000 worth of free material and labor for the installation of FlowGuard Gold pipes and fittings? For Vinnie Nanula, Manager of Operations for Essex Homes in Western New York, this opportunity became a reality. At the 2018 NAHB International Builders’ Show (IBS), Nanula visited the FlowGuard Gold booth to speak with a representative about installation training for his contractors when he learned about the FlowGuard Gold CPVC $15,000 giveaway prize drawing. “Honestly, I almost left without entering the contest! Luckily the representative made sure I didn’t miss this incredible opportunity,” he said. Nanula was blown away when he received the news that his company had won — and that the prize came just in time for the builder’s largest and most ambitious project to date. The $15,000 prize will be used within the Essex Greens at Waterford , a 108-lot, luxury patio home community located in Clarence Center, New York, which is quickly becoming the region’s hottest subdivision. The development offers five unique patio home plan ranging from mid-$300,000 - $700,000+ and is now in its third phase of development. For Essex Homes, the Essex Greens at Waterford development is the newest addition to their 26-year-long history of building premier custom homes. Essex Homes is currently ranked as the third largest homebuilder in Western New York, with more than 1,500 homes constructed since its inception in 1992. Nanula has relied on FlowGuard Gold piping systems to uphold Essex Homes’ reputation of quality and dependability in every home they’ve built since 2005. Additionally, Nanula was easily able to convey the superior quality of CPVC piping to homebuyers with the support of the FlowGuard Gold team. “FlowGuard Gold plumbing systems offer comprehensive, easy-to-understand marketing materials and literature that help us demonstrate the benefits of using CPVC piping to our customers. We are able to educate them about what is going into their homes, providing them with a sense of security which they appreciate,” Nanula said. 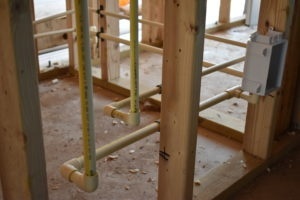 In fact, customers have been very receptive to the FlowGuard Gold plumbing systems because it mirrors the clean look of copper piping systems that they are accustomed to seeing in today’s marketplace. “The FlowGuard Gold piping doesn’t look radically different to our customers,” Nanula said. “Sometimes people put up their guard when they see something like PEX because it is wavy and looks less put-together. 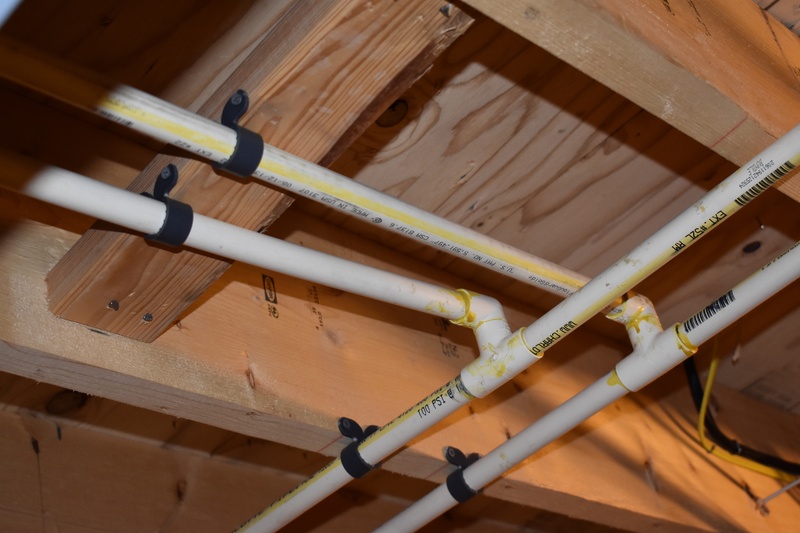 FlowGuard Gold CPVC provides a more polished look in our homes.” Other professionals agree with Nanula and they too prefer the streamlined appearance of CPVC piping over PEX. Since making the switch from copper to FlowGuard Gold in 2005, all of the Essex Homes piping systems have remained intact with no warranty claims. Nanula credits this performance to both the reliability of FlowGuard Gold CPVC and his capable contractors who properly install the piping and fittings. With the help of the FlowGuard Gold team, Nanula is confident his contractors are trained on proper installation techniques to ensure long-lasting performance. Although FlowGuard Gold piping system consultants typically work with Essex Homes’ contractors, Nanula wanted to consult with our experts himself during his visit to the IBS for insight on how to ensure the system’s performance through Buffalo’s frigid winter temperatures. 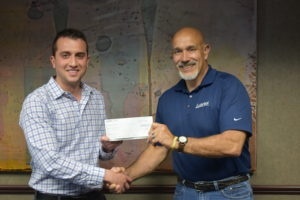 He was appreciative of the commitment the FlowGuard Gold team demonstrated to providing support. Essex Homes trusts the FlowGuard Gold team to provide technical support and on-site training from its team of expert piping system consultants, allowing them to uphold their commitment to providing quality homes for their customers.